Retail Environments magazine looks GREAT on tablets. It’s available—FREE—for tablets and smartphones, including iPad/iPhone, Android, and Kindle devices. The app includes current and past issues of the digital edition of the magazine—enhanced to include digital-only content including video, slideshows, and customized links that make it easy to get more information about many of the projects, events, and topics discussed in the magazine. Read the articles in full-color layouts just as they were printed (with option to zoom to enlarge text and images whenever you like) or reformatted in text format to easily fit your screen (with pictures). View videos and slideshows of additional project images full-screen. Easily share content at the click of a button through e-mail, Facebook, or Twitter. Bookmark articles that you’d like to refer to later. Search the archive of available issues to find what you’re looking for. Turn on notifications so that you receive a quick note when new issues are available (seven times a year). Keep an entire library of issues that you can read anywhere, anytime. Retail Environments is published specifically for the people shaping retail today—retailers, designers, and industry suppliers. 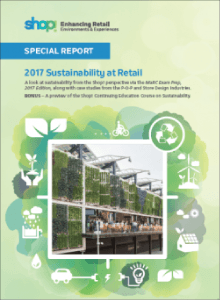 The digital edition features must-read business information, behind-the-scenes reports on new retail projects, materials and design trends, news about Shop! and its members, and your direct link to Shop!’s Supplier|Connect search. For iPhone/iPad/iPod Touch users: search for “Retail Environments” in the app store or click here to download and sync to your device. For Android users: search for “Retail Environments” in the Android Market or click here to install. 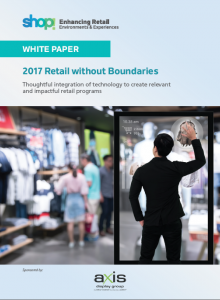 Retail Environments magazine delivers your marketing message to more than 25,000 retailers, suppliers, brand marketers, and design firms. Our editorial covers all major segments of the industry, allowing businesses to place advertising alongside relevant editorial all year long. For details on advertising contact sales@shopassociation.org.